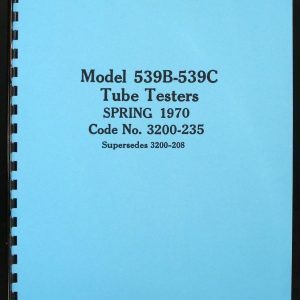 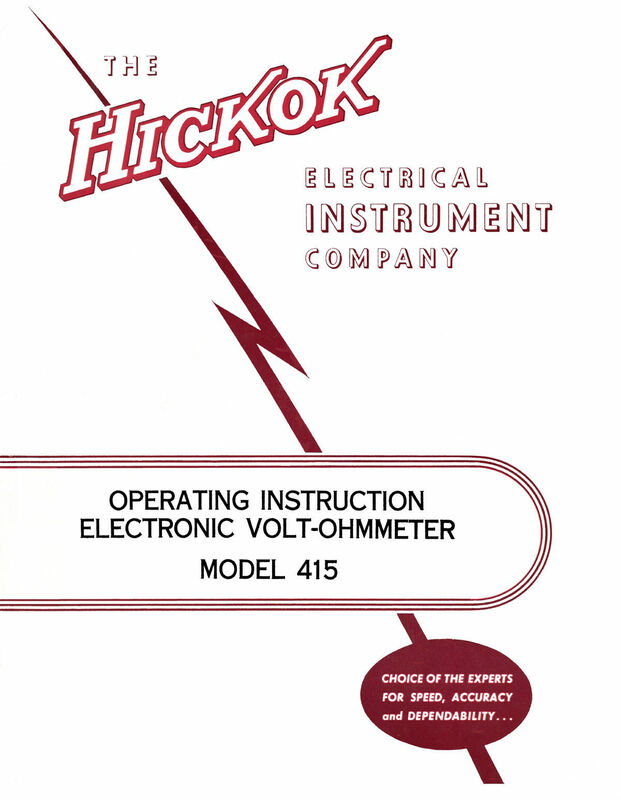 For sale is reprint of Hickok Model 415 Volt-Ohmmeter Operating Manual. 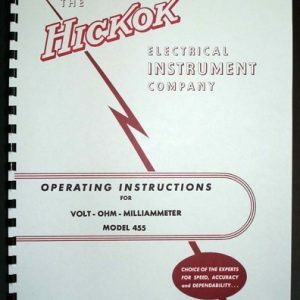 Manual is 10 pages long and includes 11×17 foldout of Circuit Diagram. 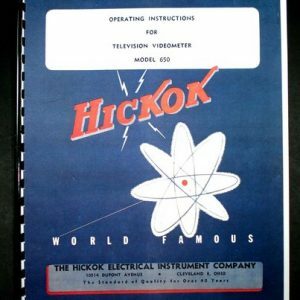 Manual is dated 1956. 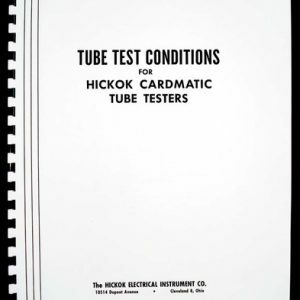 Sections include: Description, Operation, Theory, Applications, Maintenance.